You will learn a dynamic body process that changes anything in your Life that is not working for you. 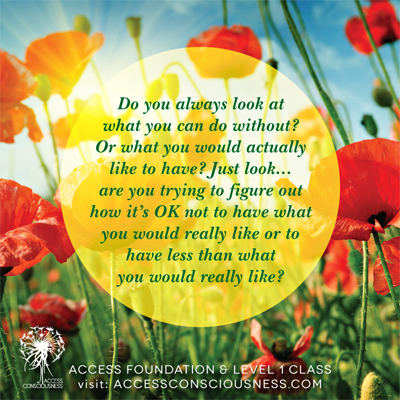 There are 32 points on the head that relate to different areas of life such as, creativity, money and sexuality, when these points are lightly touched any limitation in that area changes. 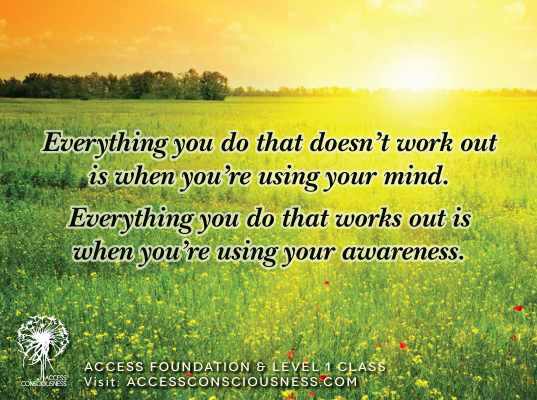 The Bars are the starting point to discovering the tools of access consciousness. Once you have learned to run bars you can run bars for other people and make a living creating a more consciousness in the world. 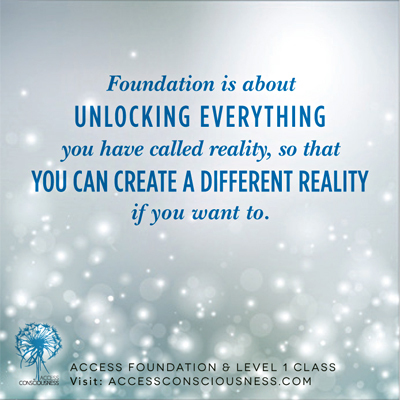 After learning the Access Consciousness The Bars, next is The Foundation four day class where you get to look at the space of your life as a different possibility. 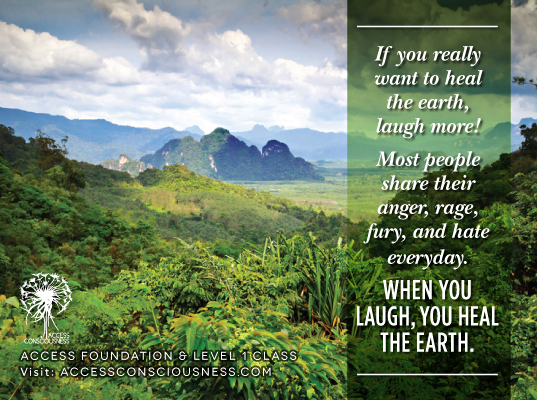 Verbal processing is used to build on what was learned in the bars class and it begins the process of getting you free of the limiting thoughts and patterns that you have not yet been able to change. 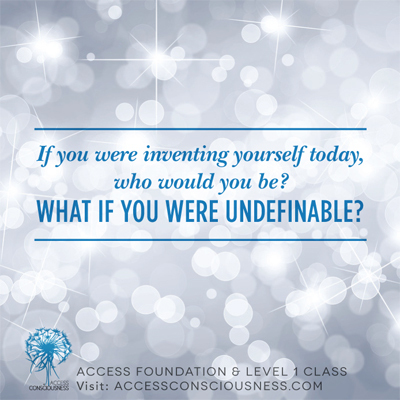 Unlock your limitations about body, finances, success, relationships, family, YOU and your capacities and much more! 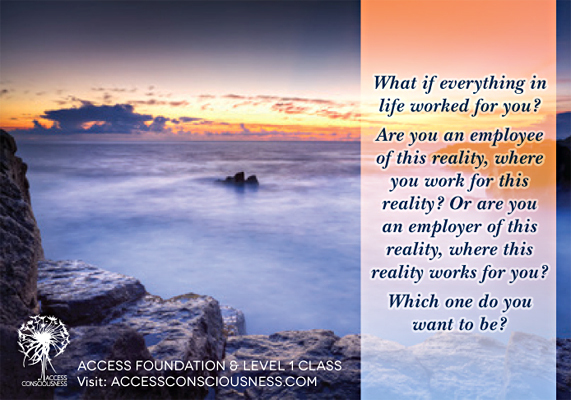 Step into greater possibilities for having everything you truly desire in life as you learn tools and questions to change anything that’s not working for you. Discover the 5 Elements of Intimacy, create energy flows, start actually BEING happy and celebrating your life!